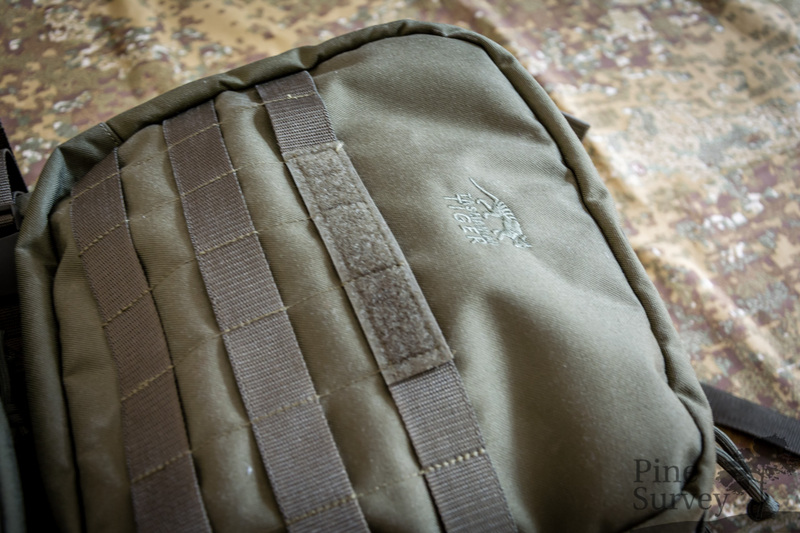 It has been a while since I have written a review and even longer since I took a closer look at a backpack. This time it will take me even a little bit longer to go into detail, because there is so much to look at. When Tasmanian Tiger sent me the Operator Pouch as well as the Tac Pouch 8, they also sent me the Bug Out Pack, which is quite new in their program. 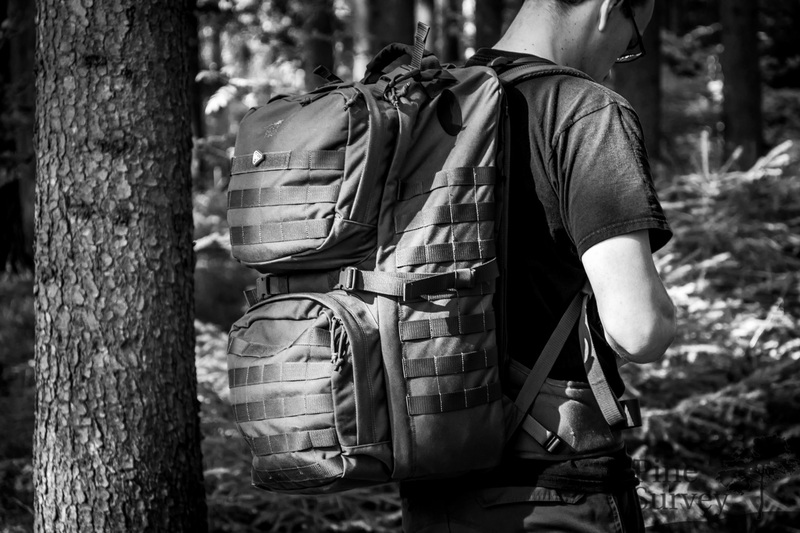 It is an interesting combination of a tactical backpack with the load bearing system of an Alpine pack. 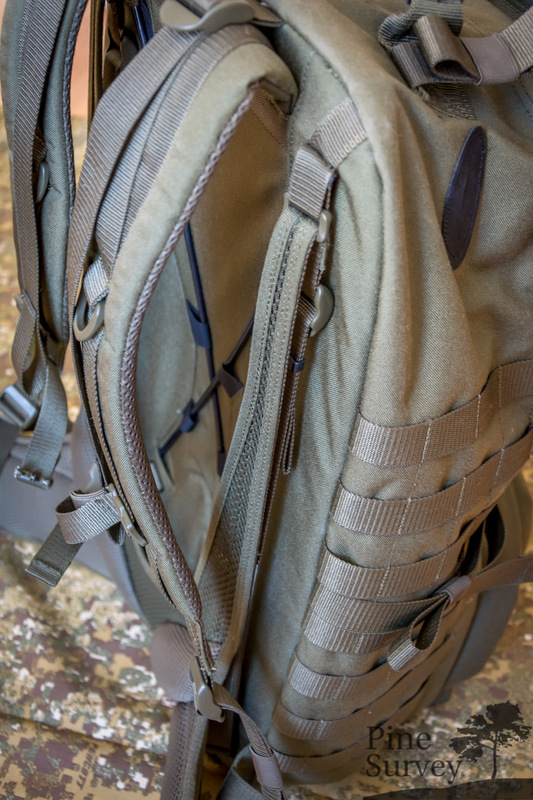 In order to get a thorough impression of the backpack I will be splitting the review into several parts. This first review will give you an overview of the features of the pack. 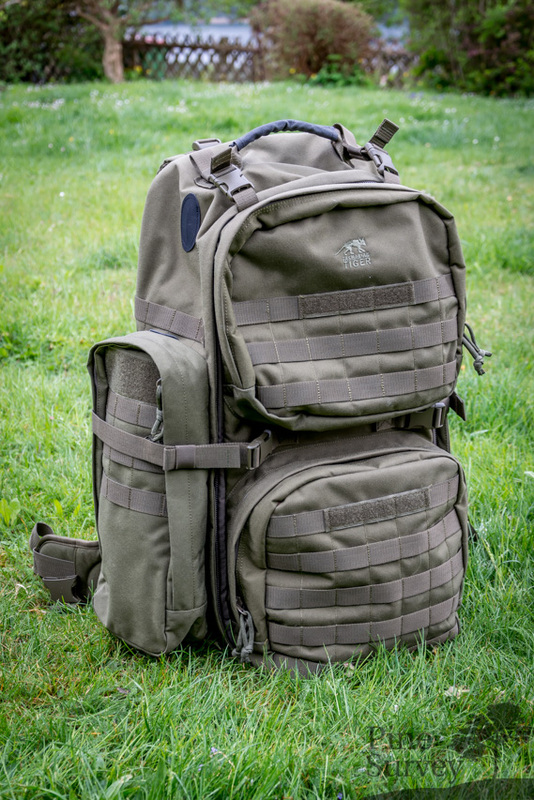 In a second review I will take a closer look at the load carrying system and in a last and third review I will give you my humble opinion of the pack that I formed over the last few months. 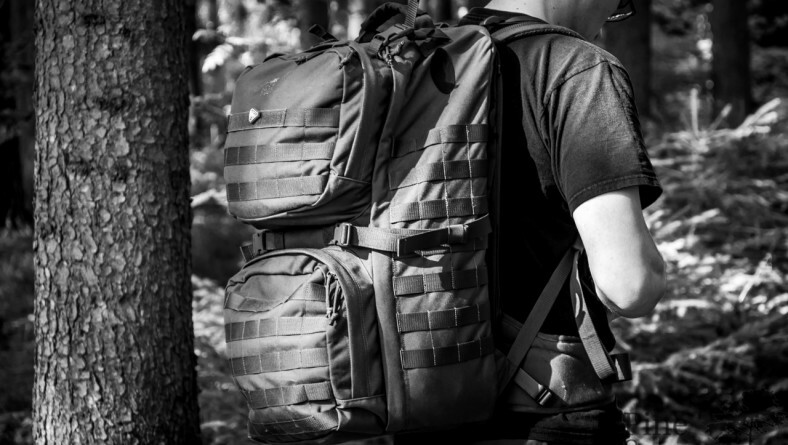 The “Bug Out Bag/Pack” concept should be known to everyone of you guys, so I won’t go into that here. Tasmanian Tiger decided to call this bag that way to pay tribute to the old bag concepts for evacuation and medical as well as survival packs. 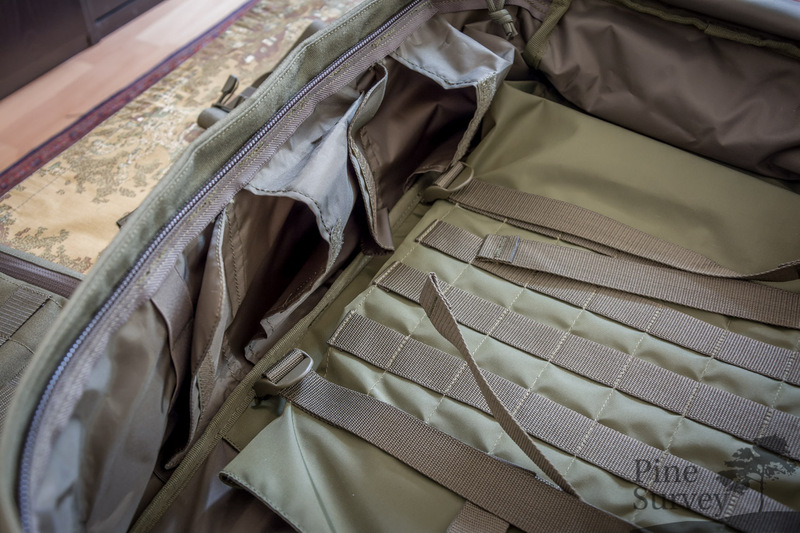 It features a main compartment with a specific set of organisation possibilities as well as two large compartments at the front, which look like attached pouches. 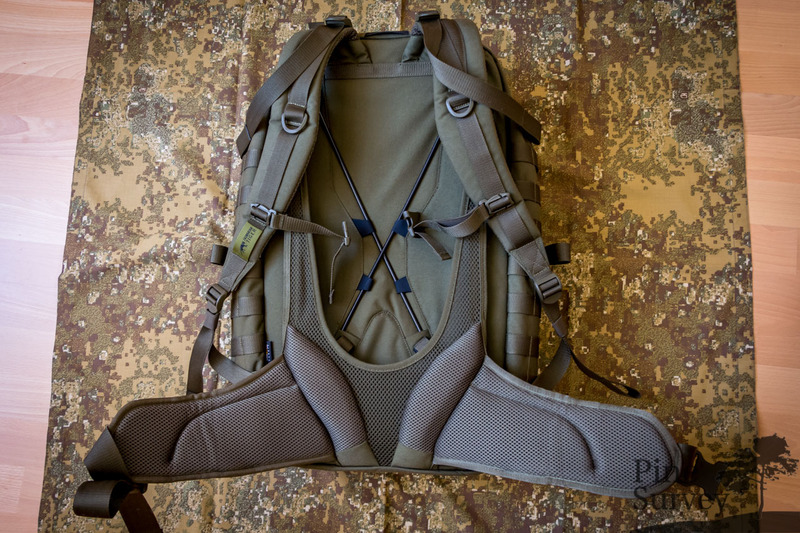 Thanks to a lot of MOLLE webbing the user has multiple options for attaching additional pouches. The pack also features one of the newest load bearing systems of Tasmanian Tiger which is aimed at giving maximum air circulation as well as a superb load distribution for the user. The front of the pack has two major pouches attached to it. 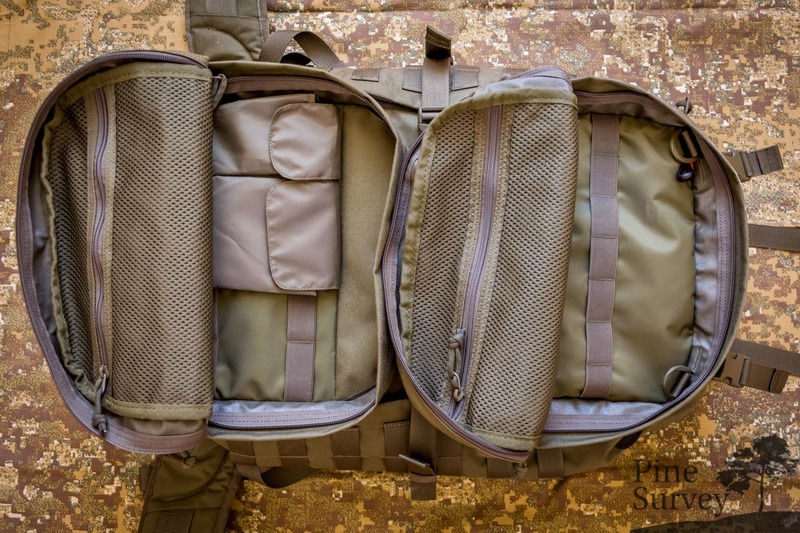 Both are covered with MOLLE webbing. 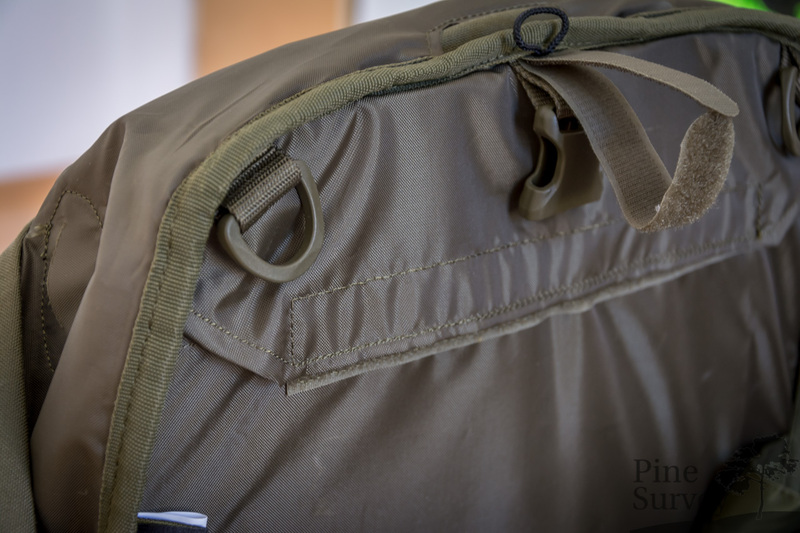 The upper pouch features 7 channels and 3 rows of MOLLE webbing although the lowest row looses the outer left and right channel because of the slightly oval shape of the pouch. The same is happening at the lower pouch which features 7 channels as well, but 5 instead of 3 rows of webbing. Here the highest row looses the outer channels. There is also a velcro area on the webbing of the upper webbing row of each pouch, which is suitable for identification tags. Both pouches can be opened all the way to ¾ to the bottom, giving plenty of room to get inside. I will get into detail a little bit later on the pouches. 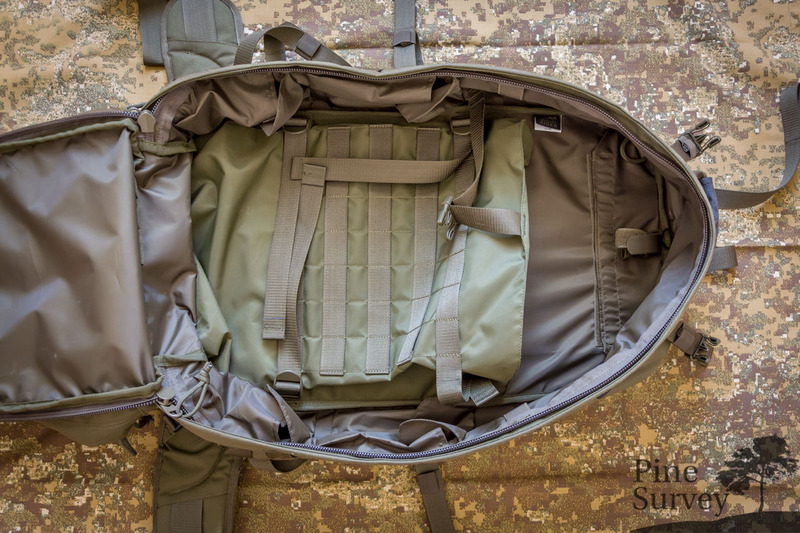 On the left and right side of the pack you will find plenty of MOLLE webbing as well: 4 Channels in 7 rows of MOLLE give you various opportunities to mount different pouches to the side or attach equipment with optional straps. The bottom of the pack features two rows of webbing with 6 channels. With some optional shockcord this is ideal to attach tarps, jackets or similar equipment. On top of the pack you will find a large carrying handle, which is equipped with nonslip hypalon fabric. There are three openings on top of the pack: on the left and right side of the carrying handle you will find hypalon reinforced openings for antennas and cables. Behind the carrying handle, right on top of the load distribution system, there is also an opening for hydration systems. 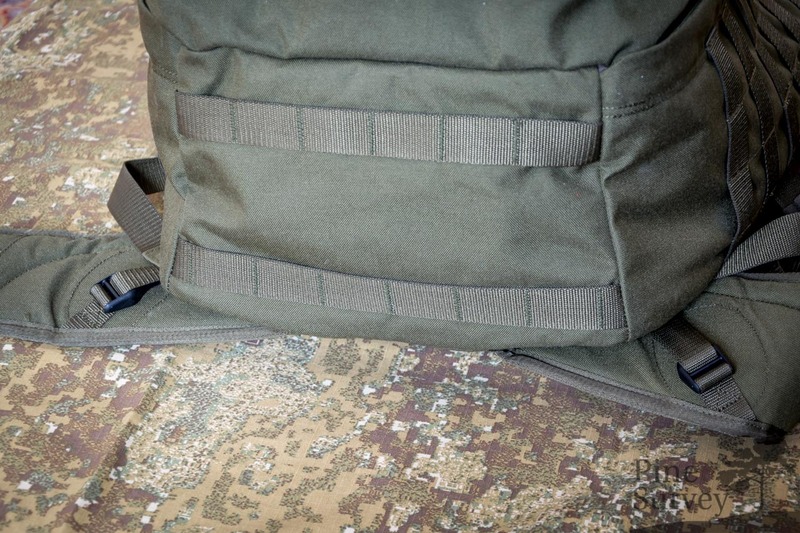 The pack features four compression straps on the outside. Two on top, and two in the middle of the pack, just in between the two pouches. On the back you will find the “X Vent-Zero Plus SYSTEM” by Tasmanian Tiger. I will take a closer much detailed look on this in the second part of this review. 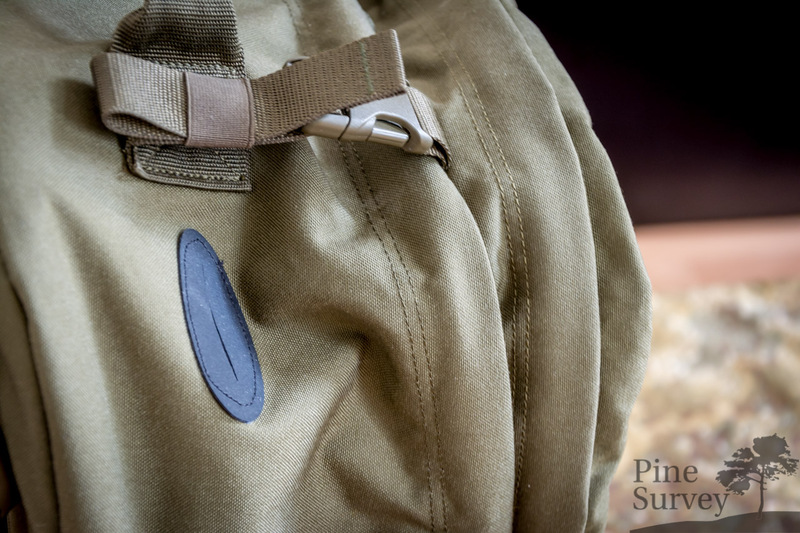 The Bug Out Pack is a full clamshell design, meaning it is opening all the way to the bottom. 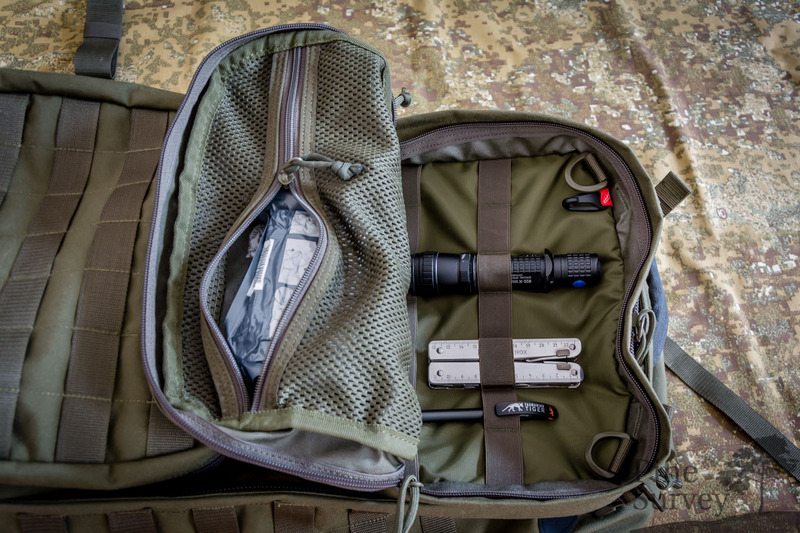 The inside features different options to organize your equipment. 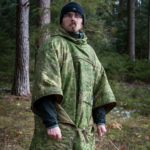 On the inner backside you will find a huge compressible sleeve that is covered with MOLLE webbing. 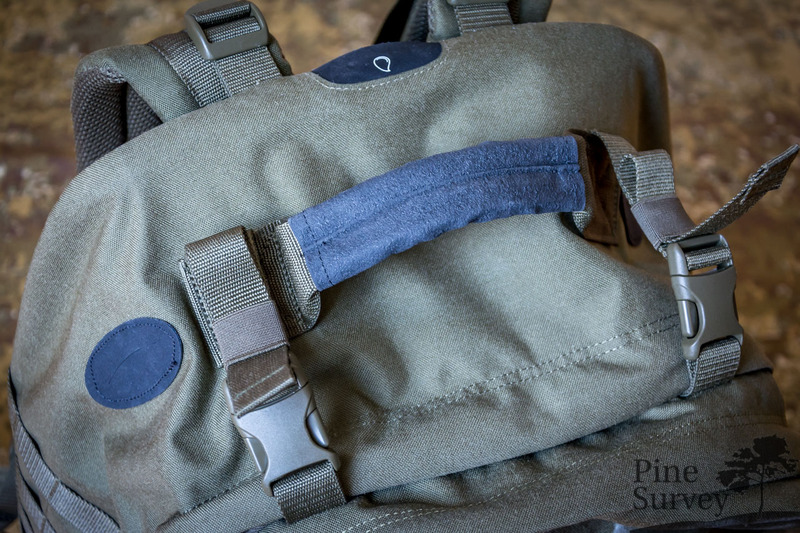 The sleeve offers plenty of room for up to two hydration bladders or a radio system. These items can be easily strapped to the frame sheet of the pack using four compression straps on the side as well as one on the top. The sleeve even has a flap so that everything stays inside. Above the sleeve you will find different options to hang gear into the pack. First of all there is one D-ring in each upper corner. There is also a small cord loop as well as a velcro strap to hang the hydration bladders. 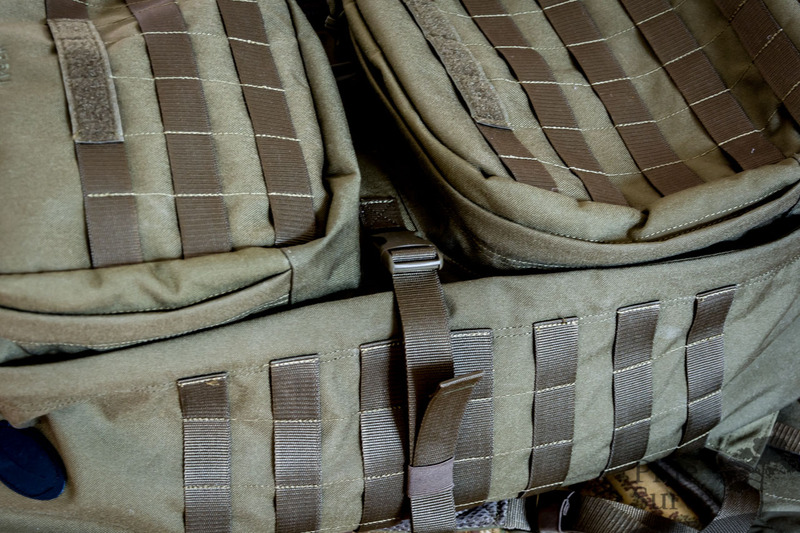 The MOLLE on the sleeve features 5 rows and 7 channels of webbing. Both sides of the interiour feature the same set of pouches and webbing. On each side you will find two pouches and one row of elastic webbing with 4 channels. 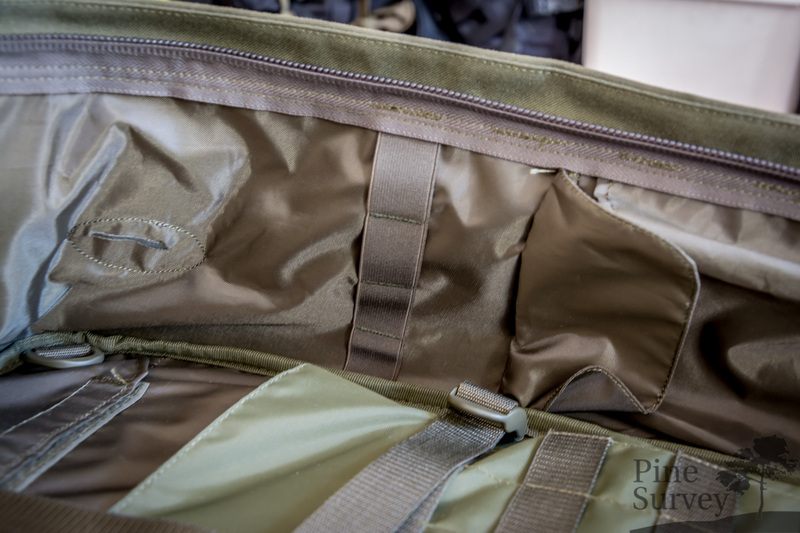 The pouches are made out of a thinner nylon material to save weight and be fully compressible if not used/needed. The frontside of the interior features one slip pocket, that can be closed with a zipper. 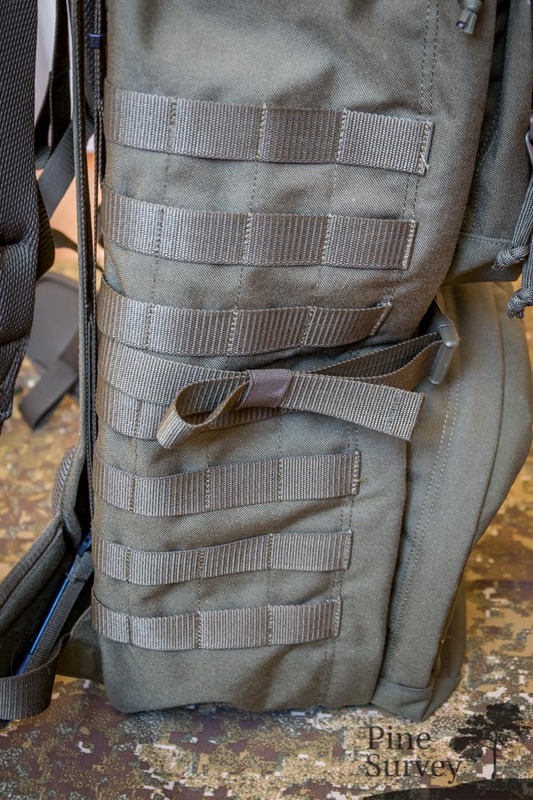 This is located all the way up, so that you only need to open the upper zipper and reach inside to get access. As mentioned before there are two large pouches attached to the front of the pack, each featuring a different setup of interiour organisation. 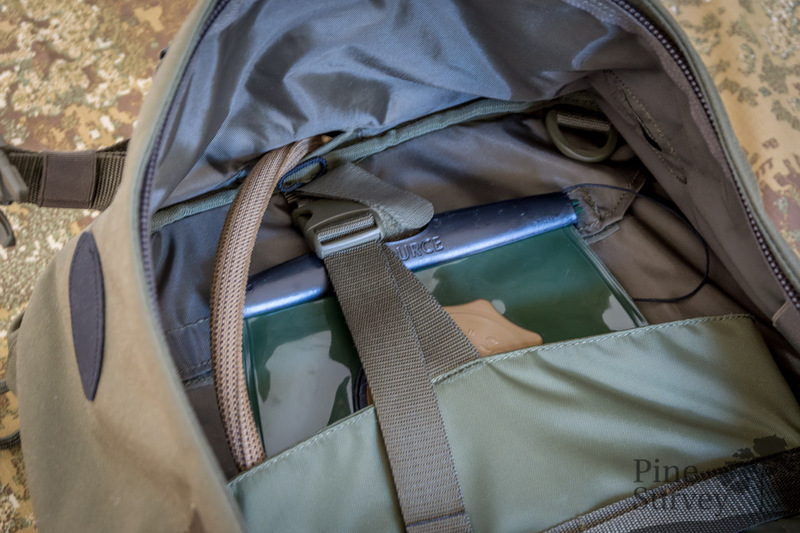 The pouches are nearly a full clamshell design, opening up to ¾. The upper pouch is equipped with a mesh pocket to the front, which can be closed with a zipper. This is ideal for all the gear that has to be identified quickly, like medical supplies and such. 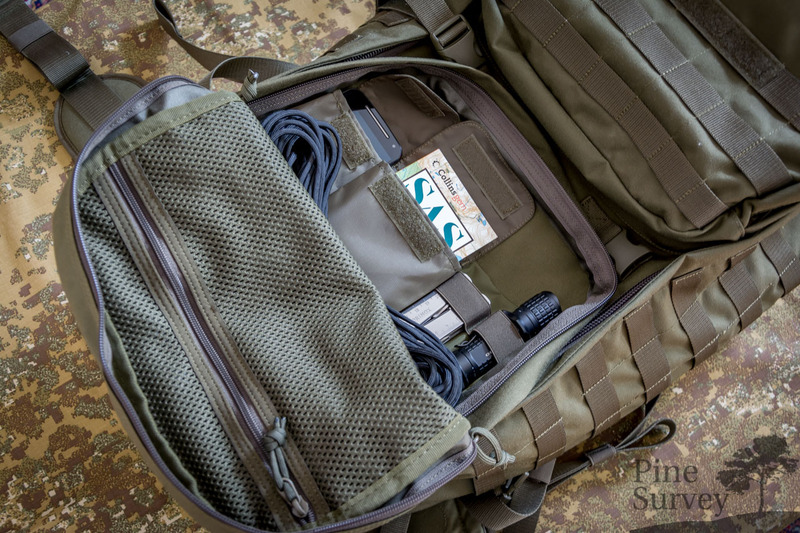 The backside of the pouch features two rows of elastic webbing with 7 channels each. These are 1,5” wide and ideal for chemlights, flashlights etc. You will also find two D-rings on the upper right and left corner, as well as a key clasp. The lower pouch has the same mesh pocket in the frontside as the upper pouch, but a different setting on the backside. Here you will find two small pouches that can be closed with a velcro flap. 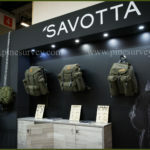 They are of the same design as the pouches on the inside of the main compartment, made out of the same lightweight nylon material. These two are different in size giving you the possibility to store GPS, Cell Phones or small Peli or Otter cases in them. There are also two rows with two channels of elastic webbing next to the pouches. These are medium sized, so they will fit larger items like multitools and flashlights. With that being said, I will end part one of this review. The next part will take a closer look at the load bearing system and the back of the pack. So stay tuned and thank you for your patience!